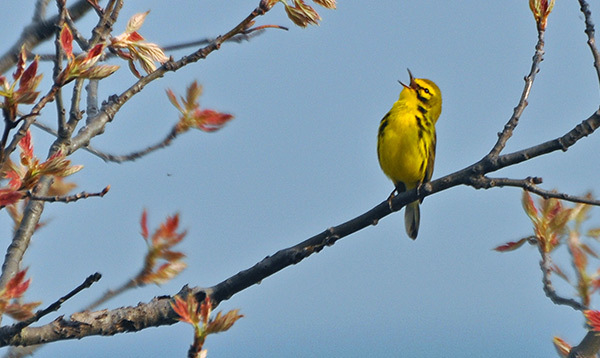 This is the first blog in a series of three summarizing Alex&apos;s experiences at the inaugural Indiana Dunes Birding Festival. My first day at the Indiana Dunes Birding Festival was mostly spent at the Indiana Dunes State Park, exploring the various trails on the Dunes Migrant Tour. During the tour, we spotted many birds I have never seen. I also learned a valuable lesson - always carry a pen and paper or have great battery life of your phone because you will want to record either in writing or by voice all the birds you see. Some of the birds I saw on the Dunes Migrant Tour included the Pileated Woodpecker, Black-and-white Warbler, Black-throated Green Warbler and the American Redstart Warbler. One of the more special birds I saw was the Mourning Warbler, which I found out is pretty rare to see. Many of the experienced birders have only seen one or two in their lifetimes. I was fortunate enough to see this bird, which was luckily right in front of me so much so that I didn&apos;t even need my binoculars. Another stop during the first day was the Nature Center. The Nature Center actually ended up becoming one of my new favorite spots for birding. They have a small room with wall-to-wall windows that is set up with benches. The rangers have also set up bird feeders of all types so you can see the varieties of birds visiting the Indiana Dunes State Park. There is also a microphone set up outside by the feeders so you can hear the birds, making it easier to spot and identify. My second favorite stop of the day was the Longshore Birding Platform, previously home to the "Green Tower," which is located above the West lot. This is a great location because all of the birds that migrate down Lake Michigan mostly end up right there. Unfortunately it was late afternoon and about 87 degrees when we arrived, which means many of the birds were not out. Morning is always prime time for birding. 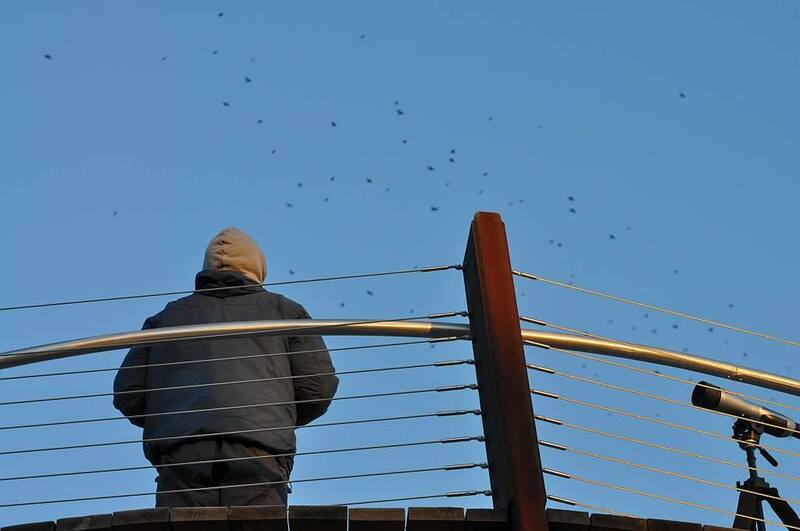 In addition to offering excellent birding opportunities, Longshore Birding Platform provides a stunning view of the Indiana Dunes. I have seen the Indiana Dunes many times, but never like this. I would highly suggest just going to the platform to see the unbelievable view of the Indiana Dunes State Park and Indiana Dunes National Park, even if you have no interest in birding. My day wrapped up with a presentation on sandhill cranes of Indiana, which visitors can see by the hundreds at Jasper Pulaski Fish & Wildlife Area during their migration. By day&apos;s end I was wiped. It was wonderful to learn of all the new places I can go to work on my birding, as well as bring my husband to experience with me. Though he is not a birder, he does seem to show some interest. This, of course, makes me happy! Be sure to check back throughout the week for more on my experiences at the Indiana Dunes Birding Festival!